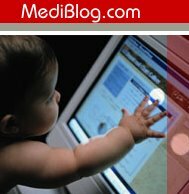 The Story of MediBlog: Want to know about cancer? Want to know about cancer? ..well if you do, I can recommend this special edition of Scientific American. It is slightly more "technical" than many would like to see but I'd say its the best introduction to what is known about cancer at the moment, and what is going on the research world to find cures. This will save a lot of hours searching for stuff in the internet. It's nice to see mention of Ralph Steinman in the piece on dendritic cells, Ralph is on the scientific review board of the Histiocytosis Research Trust, I met him once at the Nikolas Symposium, a really nice guy as well as a great scientist.